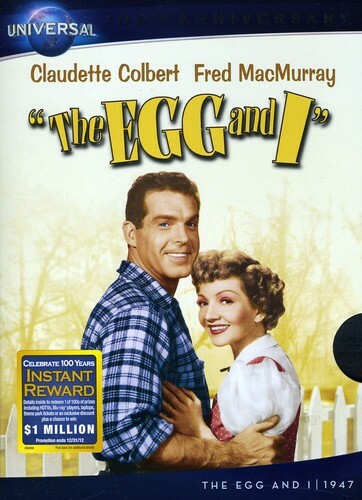 Screen legends Claudette Colbert and Fred MacMurray star as newlyweds whose love is put to the test on their wedding day in the classic comedy The Egg and I. Just after she has said “I do,” Betty (Colbert) learns that her new husband, Bob (MacMurray), has left his white-collar job with plans to raise chickens on a rustic farm located miles away from civilization. Betty tries to make the best of her situation in their ramshackle house but never-ending repairs, a malevolent wood-burning stove, rain, ornery livestock and a seductive neighbor (Louise Allbritton) do not make it easy! There is never a dull moment in this heart-warming comedy that also introduced the beloved characters of Ma and Pa Kettle (Marjorie Main and Percy Killbride).